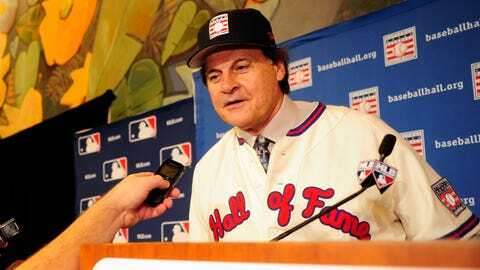 Tony La Russa was a unanimous selection for the Hall of Fame. LAKE BUENA VISTA, Fla. — Even after Tony La Russa was announced as a Hall of Famer by a unanimous vote Monday morning, he said he felt uncomfortable. Oh, but what a grinder. La Russa grinded out more wins (2,728) than any manager in history except for Connie Mack and John McGraw. He won six pennants and three World Series championships, two with the Cardinals. “The best way to describe the feeling is just stunned,” La Russa said. Stunned, however, would have been the word to describe the reaction around baseball if La Russa had not been voted in by the 16-member Expansion Era Committee. His election was considered as much, if not more, of a certainty as those of Bobby Cox and Joe Torre, who also were voted in unanimously. One surprise, at least to those in St. Louis, emerged from La Russa’s election. There’s a chance that his likeness on his Cooperstown plaque will not be wearing a Cardinals hat. Though La Russa achieved his greatest success in St. Louis, where he became the franchise’s all-time winningest manager, he had plenty of success in his first two stops. La Russa won one World Series and three consecutive pennants in 10 seasons with the A’s. He started his managerial career with the White Sox in 1979, and would win a division title in seven-plus seasons. The decision ultimately rests with the Hall of Fame, with much collaboration from La Russa. A spokesman for the Hall said an announcement should be coming within the next two weeks. If not the Cardinals, the next-best option might be a logo-less cap. That’s happened before, most recently when Catfish Hunter, who starred for the Yankees and A’s, was elected in 1987. No matter the logo, La Russa deservingly has secured his baseball immortality. What he hasn’t done, necessarily, is finish his career. Though he started working for the commissioner shortly after his retirement in 2011, La Russa misses the competition that comes with working for a club. He made it clear he has no plans to return to managing, but he wants to get back to winning and losing. La Russa learned of his election less than two hours before the news conference Monday morning when he got the call from the president of the Hall of Fame, Jane Forbes Clark. The panel, which included Hall of Fame manager Whitey Herzog as well as Hall of Fame players, executives and historians, voted Sunday afternoon after a review of all 12 names on the ballot. Besides the trio of managers, no one else on the ballot, including former Cardinals catcher Ted Simmons, received more than six votes. Twelve were needed for election. After a year when no living players went into the Hall, the last weekend of next July is shaping up to be very busy in Cooperstown. Among the players expected to be elected in the baseball writers’ voting Jan. 8 are Greg Maddux, Tom Glavine and Frank Thomas. Others who stand an excellent chance include Craig Biggio, Jeff Bagwell, Mike Piazza and Jack Morris. La Russa already is thinking about giving his induction speech with dozens of Hall of Famers sitting behind him. “I will honestly state I don’t think I’ll ever feel comfortable being part of that club,” he said at the presser. Indeed. Being a bit uncomfortable never felt so good. For 50 years, I lived my life around the score of that next game.